The Royal Irish Academy has been located at 19 Dawson Street since 1851 when it moved from its Grafton Street origins to the more spacious Academy House. Sandwiched between Saint Anne’s Church and the Mansion House, you have probably walked past its elegant exterior hundreds of times and assumed that whatever happens inside has nothing to do with you. But the Academy wants you to know that it has. Pauric Dempsey, the Head of Communications, meets me in reception and leads me up the cold back staircase of the building to the staff offices. “There’s a touch of upstairs-downstairs to this bit,” he laughs. He explains to me what being a member of the Academy is all about. It is, in essence, a Hall of Fame for Irish academics. For the five hundred elected members, “It’s the highest academic distinction in Ireland. You have to be a world leader in your area to become a member of the academy, so it’s on your scholarly output, the articles for journals, the books you produce. These are Ireland’s leading contributors to the world of learning.” It is across disciplines, humanities, sciences, and social sciences and members include the likes of Mary Daly the historian, Patrick Honohan, the economist, presidents Mary Robinson and Mary McAleese. The Academy was founded in 1785 with the purpose of being of service to society, to promote scholarship. “And that’s a great remit because it’s so broad,” Pauric says. A recent high-profile project of the Academy was Women on Walls. In attempting to provide a counterpoint to the fact that institutions like this tend to line their corridors with sombre paintings of old men, the Academy commissioned paintings of women, some who were members of the Academy in the past, but also paintings of brilliant young up-and-coming scientists. The Inner Hall of Academy House. Pauric recalls the conversation that sparked the project. A discussion about how more women could be encouraged to become involved in STEM (Science, Technology, Engineering, Maths) led one woman to look around the Academy’s walls. “She saw all these elderly men and said, there are no women on the walls here. And that was the trigger. I’ve worked at the Academy for years and I never realised that. And I’m the Comms guy and I should know that. I was annoyed at myself that we hadn’t done anything about it before. I contacted the National Gallery and said I need paintings of women members of the Academy. They had one and I got that.” Then, he decided they would need to commission more. 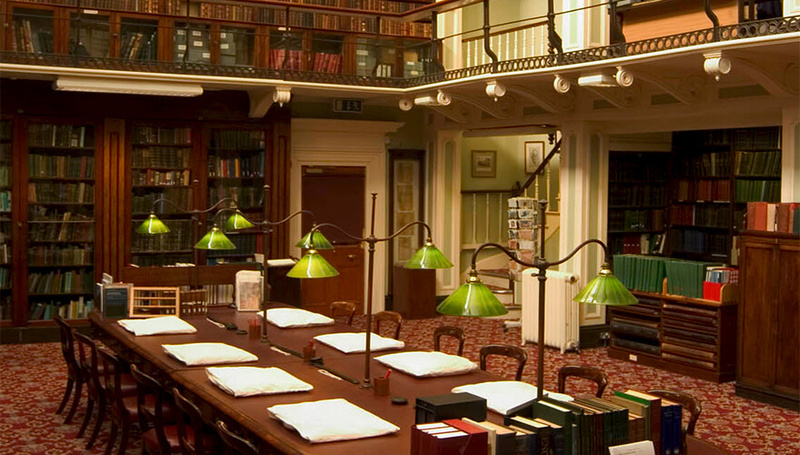 The Royal Irish Academy Library. Pauric is aware that the Academy can be an intimidating place to visit: “If you are a young woman and you aspire to be a scientist and you come into a building like this or a university or any of these institutions and all you see is old men looking down at you, you think, maybe this isn’t the place for me.” But he has seen a change since the Women on Walls project, which has now been taken up by the Royal College of Surgeons. “We keep saying on social media, ‘come in and see this painting’. And there’s a troop of people still coming in. It’s about making people feel welcome and included”. The Academy is open every night of the week. “Last night we had a Hanna Sheehy Skeffington lecture. There are exhibitions in the library practically all the time.” Upcoming events include human rights conferences, discussions of Shaw’s legacy, lectures on the obesity crisis. The research library holds the largest collection of Irish manuscripts in the world, including the Book of Uí Mhaine, one of the most important manuscripts of late medieval Ireland. The Academy is also the oldest publisher in Ireland. “This year, we’re publishing a biography of George Bernard Shaw, ‘Judging Shaw’. That’s about taking scholarship the taxpayer has paid for and making it accessible to the general public. We did Judging Dev, Judging Lemass. And in the New Year, we’re doing Carson and Redmond.” I point out that they are all men. Dempsey agrees. “It’s about the iconic figures. I must think about which women we would do.” The Women on the Wall theme, he says, is impacting on the overall thinking in the Academy. 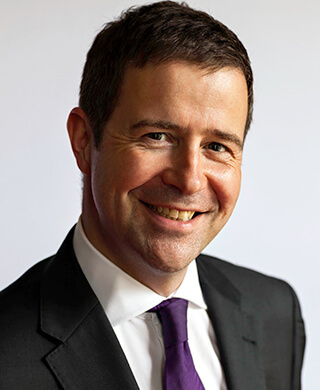 Pauric Dempsey, Head of Communications, RIA. The Academy also contributes to the Digital Repository of Ireland and it has a programme devoted to making documents on Ireland’s foreign policy from 1918 up to today available to the public. Documents that demonstrate the attitude that Ireland adopted, in terms of neutrality for instance, or with regard to joining the UN. And because it is a cross-border organisation, it’s currently involved in work commemorating the Belfast-born quantum physicist who disproved Einstein, John Bell. “I’ve made science cartoons for children, I’ve made television documentaries, I’ve made radio programmes,” Pauric says, explaining the variety of the work here. He hopes to have a portrait painted of all 114 women who have been elected to Dáil Éireann between 1919 and today, “Countess Markievicz to Clare Daly, to tell that story of women’s involvement in national politics.” Dempsey hopes the painting would travel around universities and become a discussion point. 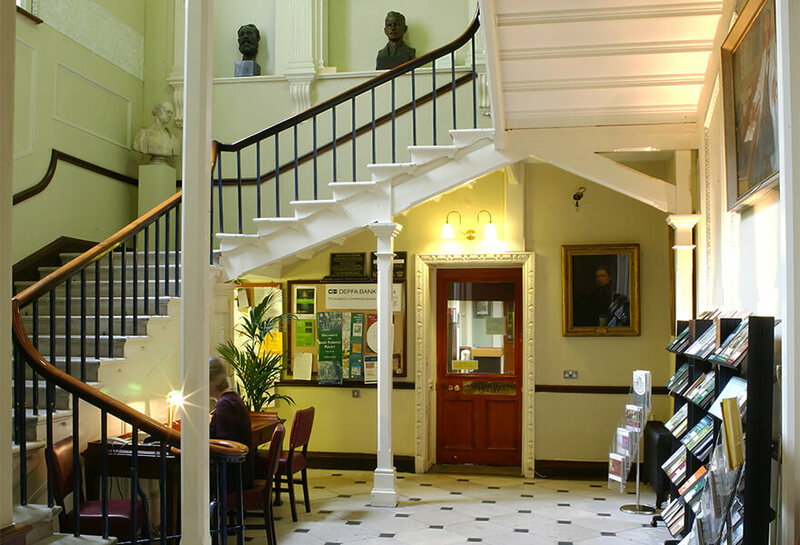 Leaving the building, we go down the main staircase and into the Thomas Moore Library. One wall is lined with Moore’s books. Other walls are adorned with paintings of older men; the Academy founder, James Caulfield, the Earl of Charlemont, Samuel Haughton who, slightly chillingly, altered the technique for hanging criminals so it was more humane. In the reception, lined with the colourful paintings of Tim Robinson, there is a constant stream of traffic as people come in from the street, to use the library, to attend a conference, or to consider both the men and women on the walls.